Study in Northern Italy, build leadership skills, travel Europe, and make new friends from around the world. As you debate where to study abroad for a semester or a summer, we’d love to share some of the top reasons students choose CIMBA, a program that is leading the way in global business education. To hear first-hand from our students check out our study abroad blog and videos. We offer High Quality, Accredited Courses so You Can Study Abroad and Stay on Track for Graduation. Our study abroad programs are taught in English and backed by the top-ranked, AACSB-accredited University of Iowa Tippie College of Business. That means nearly all of our courses will successfully transfer back to your home institution. In many cases, you can take the same course at CIMBA that you had planned to take at your home institution. For example, you can take core courses in engineering, business, communications, and more. CIMBA is Ideal for Students Pursuing Any Major. CIMBA offers a full suite of business core courses, but we also have sociology students taking travel writing, communication students pursuing business minors, engineering students taking statics, and students of every variety building their knowledge, leadership skills, and resumes. Check out our course offerings. Northern Italy is a Beautiful and Inspiring Place to Study. You’ll experience daily life in the Northern Italian village of Paderno del Grappa and then you can hop on a bus, train, or plane and be in Rome, Paris, or Munich in a matter of hours. Find out more about the CIMBA Experience and explore our location. 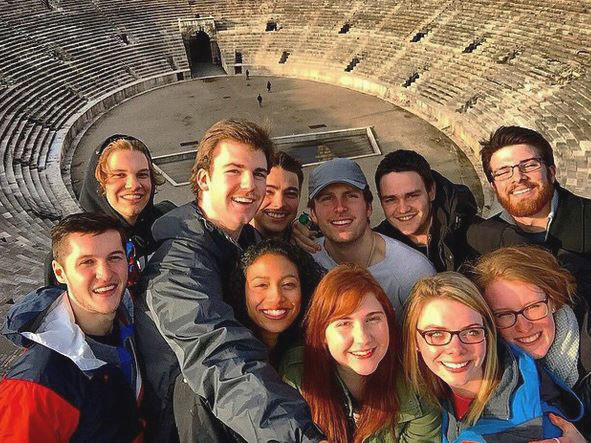 We’re one of the Few Study Abroad Programs that Focuses on Leadership and Personal Development. We place a strong emphasis on leadership and personal development. We highly encourage you to come for a fall or spring semester and experience our intensive, hands-on leadership program that helps students grow intellectually and personally. Not only will you experience innovative leadership training, but you will also earn leadership certificates. Learn more about our Leadership Institute and how the institute integrates into our study abroad programs. We’re Small and Personal by Design. Sure, you can attend larger study abroad programs in bigger cities, but at CIMBA, we value personal interactions and individualized experiences. That’s why we created small classes taught by English-speaking scholars from top universities, many of whom work (or have worked) in American and international businesses. Our study abroad courses have a 25:1 student to faculty ratio. Before you come to CIMBA, you’ll get step-by-step, pre-departure information related to passports, visas, scholarship opportunities, insurance, and packing. While you’re at CIMBA, you will have access to a full-time student life staff that prides itself on providing one-on-one support related to issues such as travel, health care, culture, logistics, language, housing, clubs, student organizations, and more. Most of our staff in Italy is bilingual and some multilingual. After CIMBA, we stay in touch with students, offering valuable professional recommendations and career-oriented connections. Our Program Offers Unparalleled Amounts of Travel in Italy and Beyond. Our academic programs are structured to allow students generous amounts of travel time – more than most study abroad programs. You get to decide where you will travel, with whom, and the details of your adventure. Our campus is conveniently located just 45 minutes from Treviso, home to one of Europe’s leading low-cost airlines, Ryanair. You’ll Gain Access to some of Italy’s Most Successful Companies. CIMBA is located in Italy’s Veneto Region, home to a highly influential and progressive business community that boasts more than 450,000 companies, including prominent Italian-borne corporations and multinational companies, such as Benetton, Diesel, NorthFace, Tecnica Skiboot, and more. Students visit many of these international businesses through CIMBA-sponsored company tours and field trips, and leaders within these companies are often guest speakers in our classrooms. You’ll Create Lifelong Friends and Connections Around the World. Our programs draw students from more than 50 countries, including the U.S., China, the Dominican Republic, Korea, Malaysia, Peru, and more. When students complete their CIMBA experience, they join our family of nearly 10,000 alumni living in 44 countries and working around the world for companies such as the Federal Reserve Bank of San Francisco, BMW Asia/Pacific, BMGI North America Corporation, Microsoft; Domino’s International, Kraft Foods, and Bridgestone Europe. 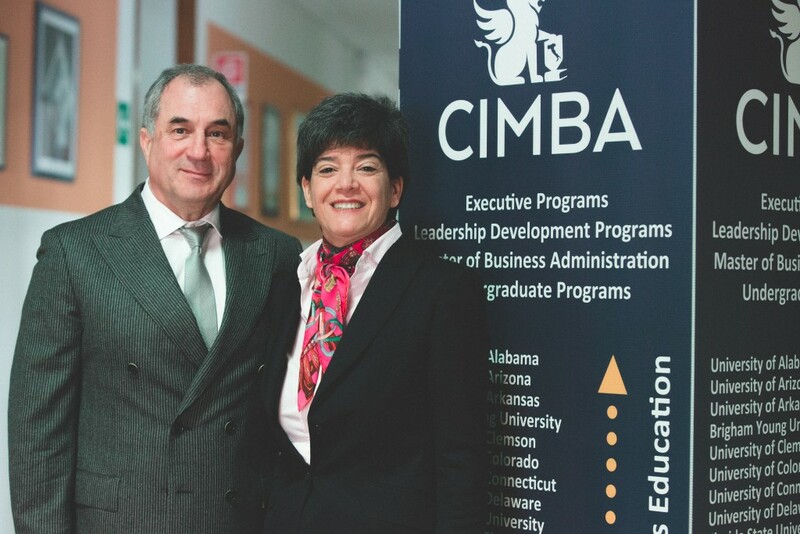 Our alumni often contact CIMBA to find qualified candidates for jobs and internships. We Work Hard to Keep Costs Down. We understand cost is an important factor in determining where to study overseas. That’s why we pride ourselves on having no hidden costs. Our study abroad pricing includes tuition, room and board, dining services, laundry, a twice-weekly cleaning service, and more. Airfare and personal travel are separate, but our staff can advise students on how to find the best fares. Financial aid and scholarships are also available for all of CIMBA’s programs. Our CIMBA staff in the U.S. and Italy will support you before, during, and after your study abroad experience. Before you leave, you will receive personal guidance for working with your home institution and step-by-step pre-departure information. While you’re at CIMBA, you will have access to a full-time student life staff that prides itself on providing one-on-one support.